Supreme Court of India has directed all states and local bodies in the country to take necessary steps to sterilize and vaccinate entire population of stray dogs on the streets. Idea of the apex court’s landmark ruling is to control stray dog population and the spread of rabies becoming a problem in some parts of the country. The court has ordered sterilization and vaccination procedure to be carried out under strict supervision of the Animal Welfare Board (AWB) of India without hindrance of any kind. SC has granted four weeks time to the states to respond, and has advised AWB to draft a module for the procedure by July 12. We direct that the dogs which are required to be sterilized or vaccinated, the procedure shall be carried out in accordance with the act and rules and no organisation shall create any kind of obstacle or impediment. It shall be the obligation of the board to oversee that this is being carried out and no obstructions are created in this regard from any quarter. This Supreme Court ruling is important because of two reasons – 1. The population of stray dogs is way to large in India. 2. Sterilization is the best ways to decrease population of stray dogs. Let us look at each of the reasons individually. Union Environment Minister Prakash Javadekar tabled a report from the 19th Livestock Census 2012 in the Lok Sabha on March 2, 2016. 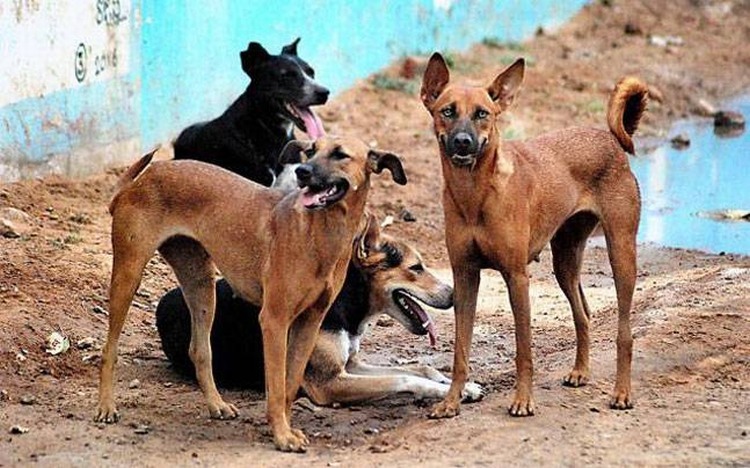 According to the report presented in the backdrop of increasing number of dog bites and rabies cases, there were around 1.71 crore stray dogs reported from rural and urban areas in Indian states and Union Territories. Along with this alarming number, Javadeker also informed that only 89,708, 48,405, and 31,341 stray dogs have been sterilized in 2012-13, 2013-14 and 2014-15 respectively. Why sterilization is the best way to control stray dog population? Stray dog population of an area is related to the size and civic makeup of the human population in the particular area. Improper disposal of waste – a human created predicament is one of the major reasons for the surmounting population of stray dogs India, largely in urban areas. Large exposed garbage dumps all around the cities provide source of food for large population of dogs to thrive on. • Why isn’t killing of dogs a good alternative to curb this population? In addition to being inhuman and unethical, culling or mass killing of dogs is not a viable solution for population control because the root problem still remains unaltered. Studies by World Health Organization (WHO) and India’s own Animal Welfare Board point out that the urban environment in India encourages breeding of dogs. Increasing garbage dumps and slums areas (where stray dogs are free roaming pets) are two main reasons for it. Irrespective of mass dog killings, the root problem of population remains unaltered because the surviving dogs keep multiplying and dog bites remain a rampant problem. Sterilization is a good idea because dogs after being sterilized can be left back in their environment harmless. Since they are sterilized they do not multiply. Female dogs have limited pups, and over time no pups to guard and they are less aggressive. As sterilized dogs die natural death over time, the population is largely decreased. This procedure cannot be a success without awareness. People will have to be educated not to create garbage dumps everywhere, and governments will have to provide appropriate waste treatment alternatives.